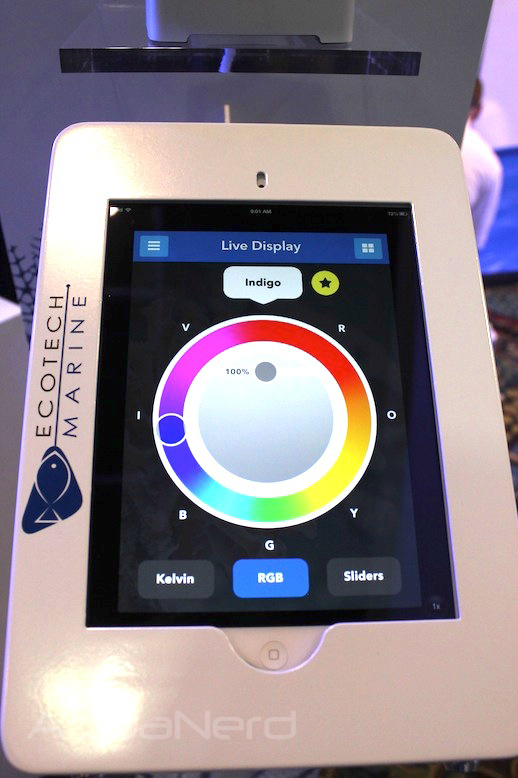 The most anticipated new product that was announced at MACNA was undoubtedly the ReefLink from EcoTech Marine. This new gadget basically acts, and even sort of looks, like a wireless network router that allows users to communicate with the Radion LED fixture wirelessly and in real time. So, no more hooking up the computer to make changes to the light settings. Just hop on your favorite net connected mobile device and start tinkering away through the EcoSmart Live platform. 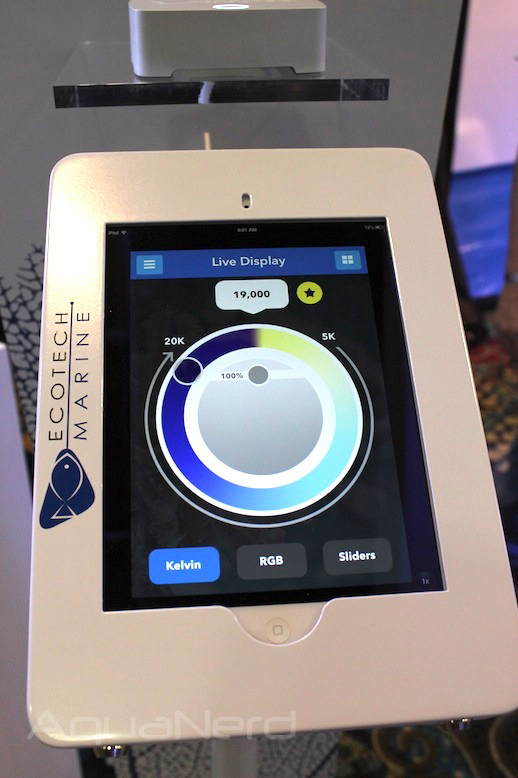 EcoTech was showing off this new gadget with the help of an iPad, which responded beautifully to our every move. Users can navigate between three different screens (all shown below) to adjust the color and intensity of the fixture in various ways. The first tab we encounters was the “Kelvin” settings, which allowed us to pick the color of the light based on the color temperature scheme that mist hobbyists are all too familiar with. Just drag the tiny circular cursor around the color wheel to pick the setting you want. Similar to the “Kelvin” setting is the “RGB” selector. Through a nearly identical wheel and cursor, Radion users can pick the color of their light from a blend of different colors that are based on the seven distinct bands of the visible light spectrum. Along this unbreaking circle are red, orange, yellow, green, blue, indigo, and violet…which all blend from one to the next. The last tab in the color selection is the “Sliders” page. As its name suggests, this tab features a plethora of sliding tabs that can be moved left or right to adjust the intensity of each color channel present in the Radion. Each slider can be moved from 0-100%, allowing all six colors to be very finely tuned. A seventh slider adjusts the brightness of the light. 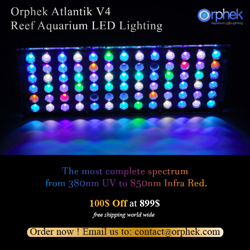 Currently, the ReefLink is only available in beta form and can only control the Radion fixtures. 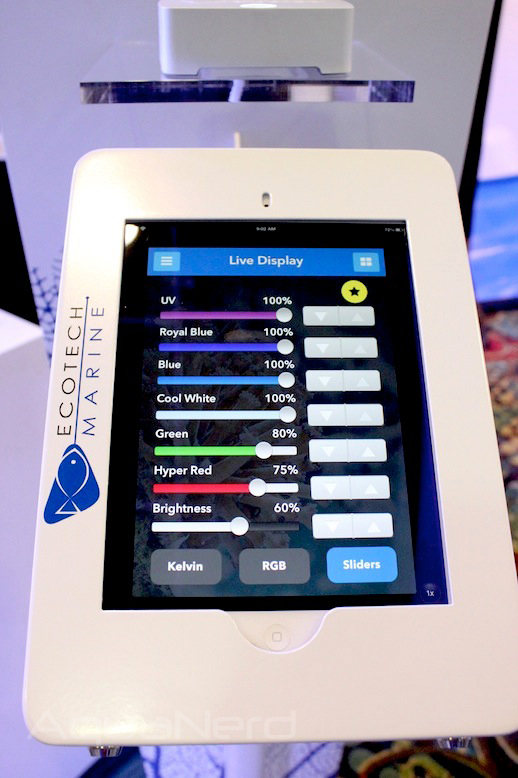 Eventually, the wireless EcoSmart VorTech pumps will be able to function through the ReefLink, and EcoTech hints that it will eventually be able to control “just about everything in your tank”. 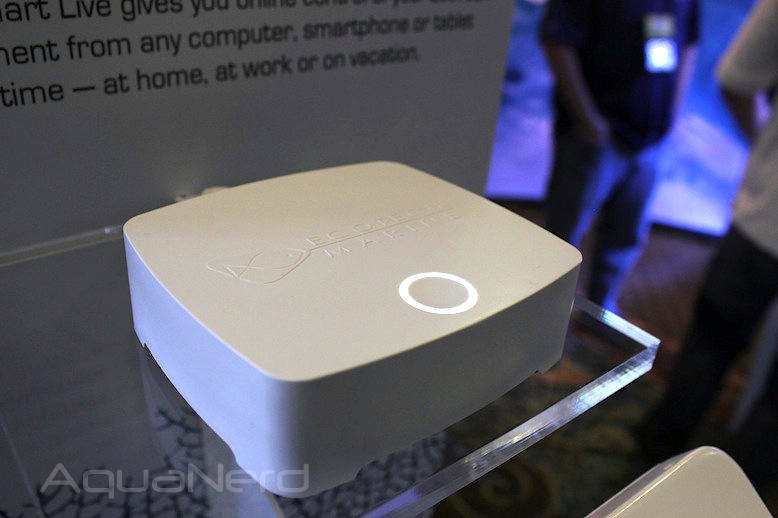 Could the ReefLink be the precursor to a full blown aquarium controller? We sure hope so, and it’s something we’ve been predicting for the last two years now. The retail price for the ReefLink will be $199, though beta testers can scoop one up for $99 if selected.